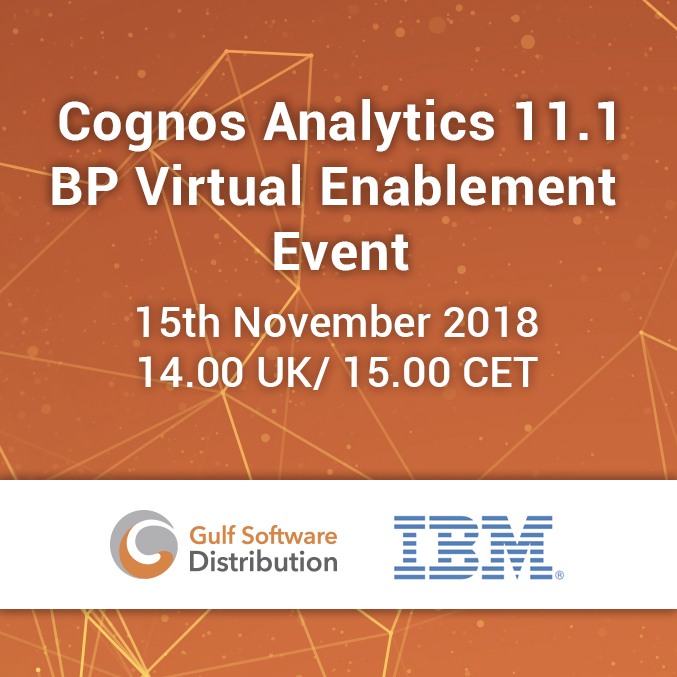 Register for IBM’s Cognos Analytics 11.1 - BP Virtual Enablement Event on Thursday, 15 November, 2018, at 14.00 UK/ 15.00 CET. This no-cost, virtual event will feature 25+ sessions that will give you the depth of knowledge to sell and market CA 11.1 to your customers. Tracks will focus on sales, executives and marketing, featuring IBM experts who will give you the background you need to be successful and the opportunity to get your questions answered during Q&As or scheduled 1:1s. Register your team now and block your calendars for Thursday, 15 November.